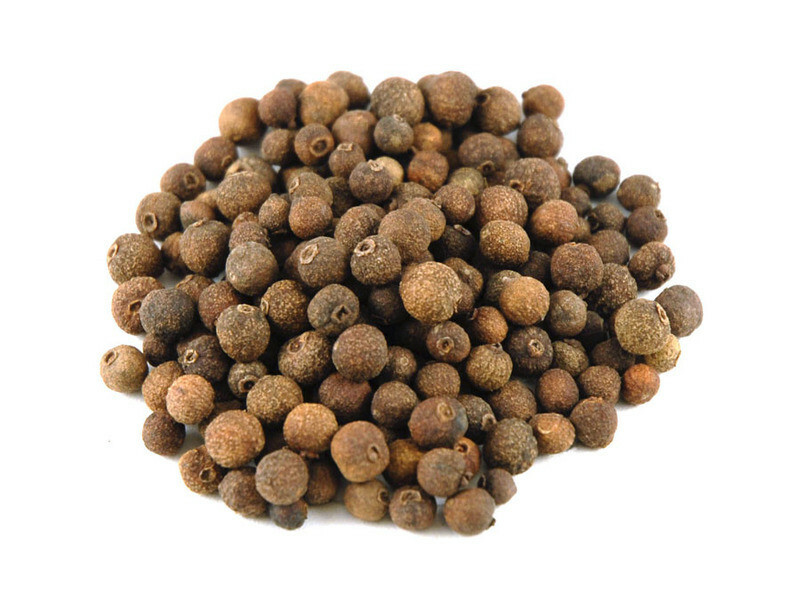 Allspice is the dried berry of the Jamaican pepper tree, also known as pimento tree. At first glance, you might easily confuse the allspice berry with a peppercorn, just as early Spanish explorers did. The green berries, which contain two seeds, are slightly larger than peppercorns and have a rough dark reddish brown exterior when dried.